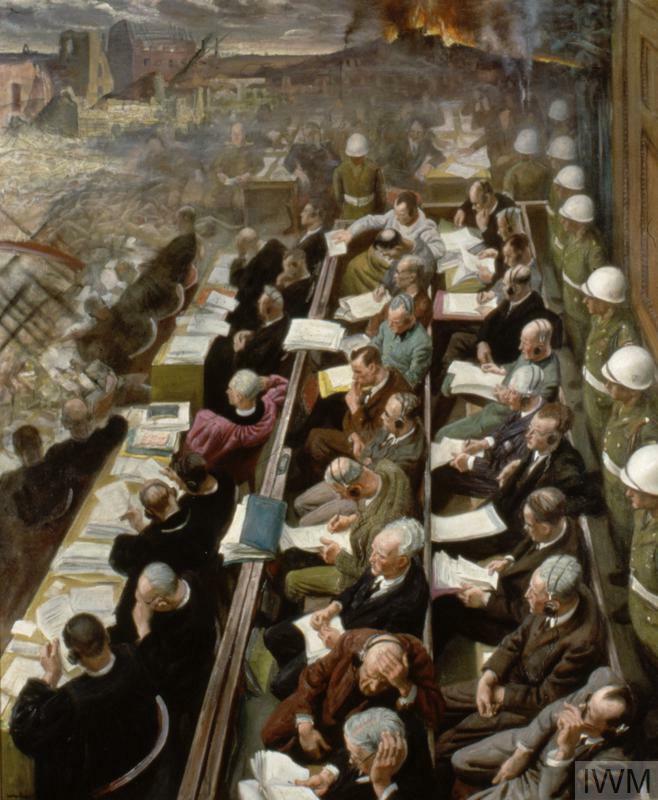 image: On the right two benches of the accused leaders stretch away from the foreground to the centre of the painting. Behind the defendants stands a line of white-helmeted military police who guard the benches and separate them from the court beyond. On the left, in front of the defendants, sit two rows of lawyers, largely in black robes. The lawyers and the defendants study sheaves of paper. In the background the painting metamorphoses into a depiction of rubble and damaged buildings, leading back towards a burning horizon. image: On the right two benches of the accused leaders stretch away from the foreground to the centre of the painting. Behind the defendants stands a line of white-helmeted military police who guard the benches and separate them from the court beyond. On the left, in front of the defendants, sit two rows of lawyers, largely in black robes. The lawyers and the defendants study sheaves of paper. In the background the painting metamorphoses into a depiction of rubble and damaged buildings, leading back towards a burning horizon. It is an oil paint on canvas. It sits in a painted wooden frame. It is unglazed. There is a cardboard backboard. 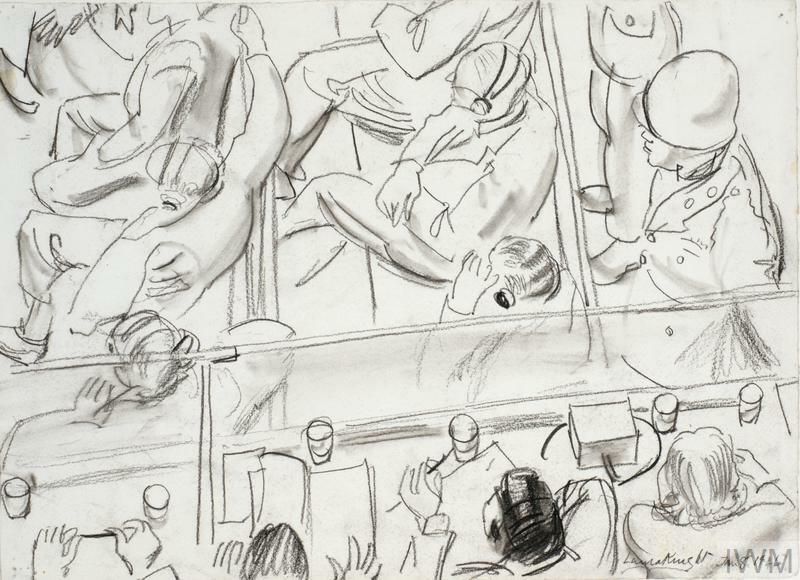 Knight was appointed a ‘war correspondent’ for this commission and made a special BBC broadcast from Nuremberg. 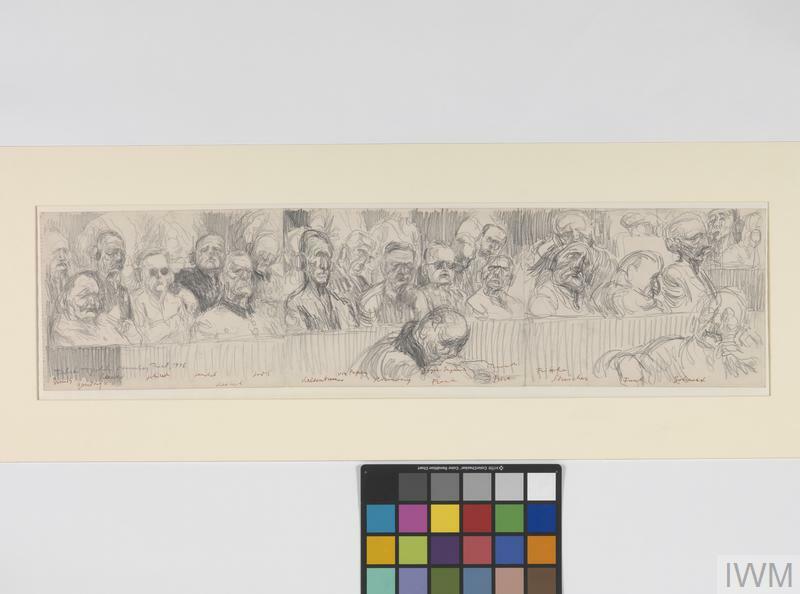 She gained special access to the broadcasting box just above the prisoners where she was able to make charcoal studies of the main protagonists amongst the lawyers and the accused. Her painting reproduces faithfully the courtroom scene and is, in effect, a group portrait of the prisoners who are shown wearing the cumbersome headphones necessary to hear a translation of the proceedings. Knight was deeply disturbed by what she heard during the trial and the painting shows a landscape of desolation floating above the courtroom like a shared nightmare. 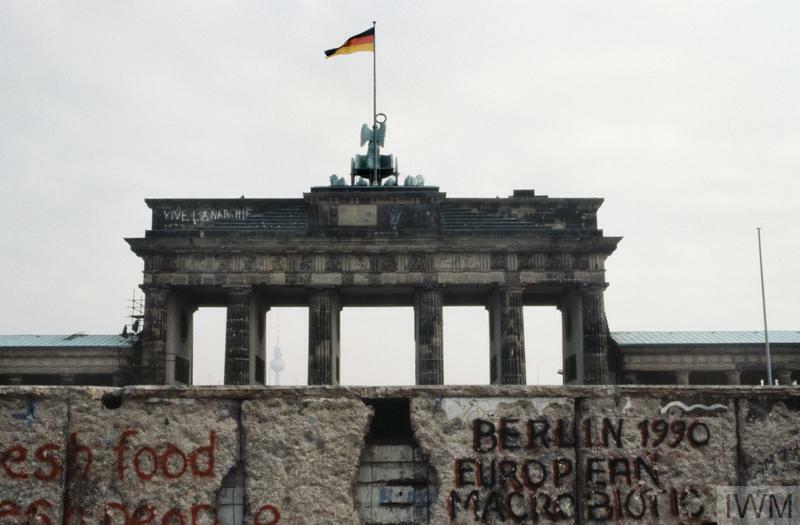 We are invited to contemplate the dreadful consequences of totalitarian power. The international tribunal at Nuremberg tried twenty-one leading Germans, headed by Hermann Goering. Eleven of the accused were sentenced to death, three to life imprisonment and a further four were given lesser prison terms.